Blog How Old is Your Cooling System? Summer is right around the corner, and your cooling system will soon be working hard. 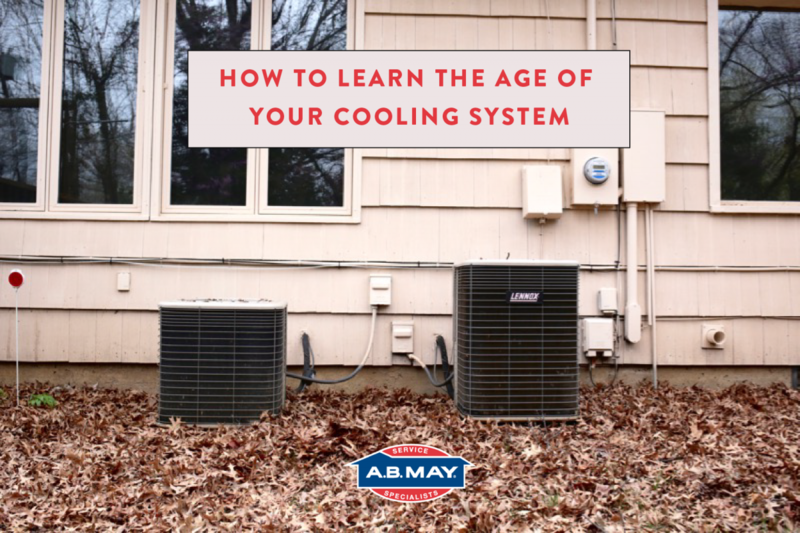 Many of us inherit our heating and cooling systems from the previous owners, but knowing the age of your system is vital to your comfort. The older your system is, the more likely it is to break down, cause high energy bills, and not keep up with the summer heat. Luckily, the age of your system is hidden in the numbers on the name plate. 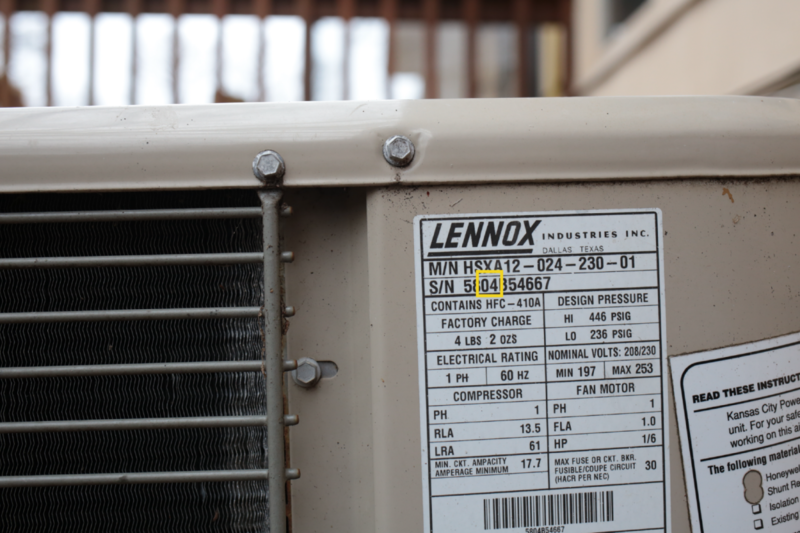 If you have a Lennox or Carrier system, the third and fourth digits of the serial number will tell you the age (The photo above is of a Lennox system, which was manufactured in 2004). If you have a Goodman or Daikin system, the first and second digits of the serial number will tell you the age. *some manufacturers have changed their serial number system decade-to-decade, but these are the most common practices. Don’t see your brand above? Email us a picture of your unit’s name plate and we will tell you the age of your system for free! Email a photo to pposladek@abmay.com.